Haunted though these soot-stained urban alleys may be, a lonely headmistress and a gallant vicar shall here reap the season’s blessings. In the frosty North, in the ice palace of Valhalla, Sonja’s life depends upon unraveling the mystery of the Crystal Crib—and upon winning the love of Odin’s son. Dreaming of recapturing their mortal lives, the vampiric race of the Shadows is threatened with extinction when their existence is exposed, leavin ...more Dreaming of recapturing their mortal lives, the vampiric race of the Shadows is threatened with extinction when their existence is exposed, leaving them vulnerable to a human race that is determined to destroy them. When William’s and Cerise’s missions lead them to cross paths, sparks fly—but they’ll have to work together if they want to succeed ... and survive. But even if the whole world was against them, it would not matter. They were together—again. And this time they would remain together. Until death do them part and, of course, long after that. 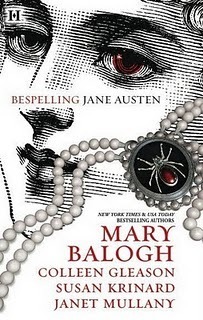 What if Austen had believed in reincarnation and vampires? Join four bestselling romance authors as they channel the wit and wisdom of Jane Austen. Caroline's obsession with Gothic novels winds up being good training for a lifetime of destroying the undead with her newfound beau, in this Regency by Colleen Gleason. Set in the business world of contemporary New York City, Liz Bennett joins Mr. Darcy in his hunt for a vampire cure in New York Times bestselling author Susan Krinard's version of the classic story. Present-day Washington, D.C., is full of curious creatures in Janet Mullany's story, wherein Emma is a witch with a wizard boyfriend and a paranormal dating service to run. He is Razvan, branded a hated criminal, detested, feared and loathed by all Carpathians—he is also a dragonseeker of one of the greatest lineages of all Carpathians Held captive nearly his entire life by his grandfather, the Carpathians bitterest enemy, he is seeking the dawn to end his terrible existence. Carlos Panterra rescued five children when his Brazilian were-panther tribe was attacked and slaughtered. Are they the only were-panthers left in existence? Join Carlos as he goes on the prowl, hunting the world over for a were-panther mate. And if he can find her, he is determined to make her purr! Series: Casa Dracula #4 - Final book in this series. All she wants to is turn back the clock and have another chance to make things right. No sooner has she escaped to Oswald’s ranch than an accident obliterates her memory. Will the murderer come after her, and will amnesia spark a romantic do-over with Oswald—or will Milagro make all the same mistakes before she ever gets to say “I do”? 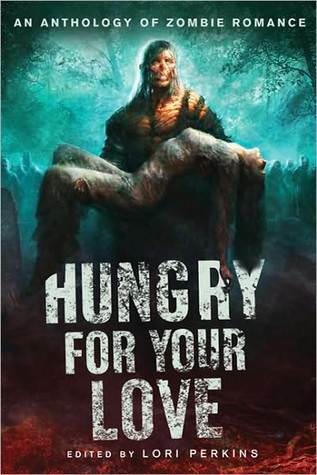 In the pages of HUNGRY FOR YOUR LOVE, the very first zombie romance anthology ever, you'll find romantic stories about loving a zombie, love stories between zombies and a tale of love and lust during the zombie Apocalypse. There are funny zombie stories, a zombie story that will make you cry, and even a few that might make you blush. We have zombie noir and zombie paranormal romance. You will be amazed at the scope of zombie lovin'. There's something for everyone in this star-studded collection, including stories by New York Times best-selling authors John Skipp (writing as Gina McQueen) and Brian Keene. Said to be heavily rewritten from the original story of 1993. 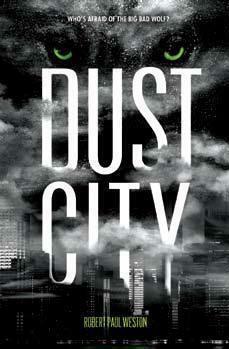 Middle-aged San Francisco horror writer Franz Westen is rediscovering ordinary life following a long alcoholic binge. Then one day, peering at his apartment window from atop a nearby hill, he sees a pale brown thing lean out his window…and wave. This encounter sends Westen on a quest through ancient books and modern streets, looking for the dark forces and paramental entities that thrive amidst the towering skyscrapers of modern urban life…and, meanwhile, the entities are also looking for him. A pioneering work of modern urban fantasy, Our Lady of Darkness is perhaps Fritz Leiber’s greatest novel. 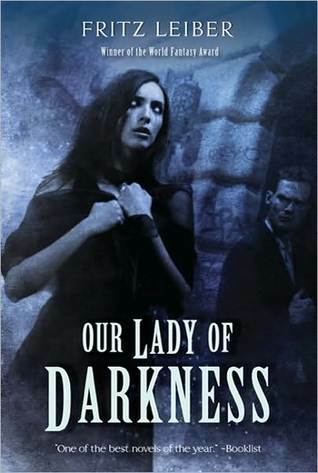 Our Lady of Darkness has been out of print since the 1991 Tor trade paperback edition. Though Megalopolis has many superheroes, none of them is quite like Fantazia. That’s no surprise, given her parentage. But immortality is hard, even for a sorceress. Watching loved ones age and die…? It’s better to live in a pocket universe tending bar. It’s safer to remain cold and aloof, to not get attached to anything or anyone. So, helping the Elite Hands of Justice defeat the Dragon was a mistake. Her father’s band of shiny, happy do-gooders with social lives right out of a soap opera gave Fantazia a taste of camaraderie—and of something else. Hanging around their mysterious ally has birthed a new threat, something worse than the evil plot of the city’s newest super-villain. The true peril is Cyrus…for he threatens Fantazia’s heart. Connor loves trimming the Christmas tree, baking gingerbread cookies, and hanging the mistletoe. But his vampire siblings won't help. His friend Angelina sends party planner Jillian to the rescue. But when Jillian, who's mortal, discovers she's decking the halls for a family of vampires, will she run—or will Connor have a beautiful woman to share the holidays with? The Exile retells the original Outlander novel from Jamie Fraser's point of view, revealing events never seen in the original story and giving readers a whole new insight into the Jamie-Claire relationship. Jamie's surreptitious arrival in Scotland at the beginning of the tale, his feelings about Claire, and much more — up to the point where Claire faces trial for witchcraft and must choose whether to return to her own century — are brought to life in brilliant four-colour art. A must-read — and a great holiday gift — for any Outlander fan! In the far north of the world of Haarth lies the bitter mountain range known as the Wall of Night. Garrisone ...more If Night falls, all fall . . .
Yeine Darr is an outcast from the barbarian north. But when her mother dies under mysterious circumstances, she is summoned to the majestic city of Sky. There, to her shock, Yeine is named an heiress to the king. But the throne of the Hundred Thousand Kingdoms is not easily won, and Yeine is thrust into a vicious power struggle with a pair of cousins she never knew she had. As she fights for her life, she draws ever closer to the secrets of her mother's death and her family's bloody history. Darel Ericson of the Dahanavar clan is a rarity among his vampire brethren: he’s an empath, strong enough to occasionally read thought as well as emotion. For centuries, his power has given the Dahanavar a significant advantage against the machinations of the other vampire families, an advantage which makes Darel both a powerful tool and a highly visible target. Fortunately for Darel, it is more useful for the heads of the other clans to maintain the centuries-long peace between the houses than to remove him. But, the cunning and violent head of the House of Nachterret is tired of the truce, and of hiding his presence in the world. The Nachterret would like nothing more than have free reign over the helpless human cattle upon which they feed. Darel, and the human woman he loves, become central to the Nachterret’s scheme to plunge the Houses into all out war. Darel is ultimately forced to face the question: is one young woman’s life too high a price to pay for peace? 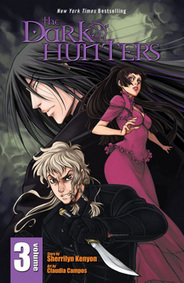 Series: Shifters #6 - Final book in this series. Jaz Parks and her vampire boss, Vayl, have already fought demons, vampires, and reavers. Now, juggling work and family takes on a new dimension as she tackles her latest challenge: nail the Raptor before he can reduce her to Jaz-bits, survive a head-on crash with Vayl's violent past, and lever her twin's military career back on track before a dishonorable discharge ruins his life. To top it off, she must also contend with her father's issues. Is he losing his mind? Or is someone really trying to kill him - from beyond the grave? Three all-new tales of moonlit fantasy. Sharon Shinn's Twelve Houses books have fascinated readers and critics alike with their irresistible blend of fantasy, romance, and adventure. Now in Quatrain, she weaves compelling stories in four of the worlds that readers love in Fight, Blood, Gold, and Flame. The blood of the Underworld lord of evil runs through soul reaper Malthus Krayl’s veins. Raised to fight for survival and to kill for victory, he can destroy anyone who poses a threat. As he searches for the one responsible for his brother’s murder, he refuses to succumb to any distraction… until his sworn enemy crosses his path and tempts him beyond all reason. New York Times and USA TODAY bestselling author Heather Graham introduces the thrilling world of the MacDonald sisters. Born into a legacy, they balance the fate of the world and the passion that might force them to risk it all . 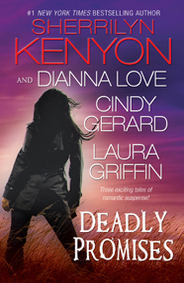 . .
Jagger will stop at nothing to find the murderer—including working with the sensual and suspicious Fiona. As more die, it becomes clear that this isn't the work of an ordinary vampire. No one is safe. So when the killer's attention turns to Fiona, will Jagger risk destroying his own species to protect the woman he so passionately desires? The Keepers: Three extraordinary sisters, balancing the duties of their birthrights and the yearnings of their hearts. . .
That is, if she can decide what to wish for. There’s the rub. Career? Family? Love life? Even a charismatic genie can grant only so many wishes. Or maybe Erin should just hold on to all those magical chances and think about what might be (instead of seeing just what’s under her nose). Time’s running out. 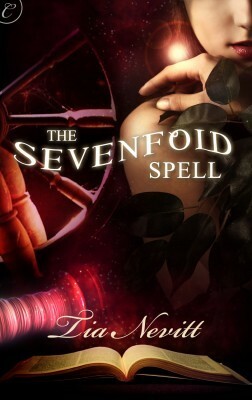 Ultimately, it’s Erin who must decide how to keep the magic alive—forever. 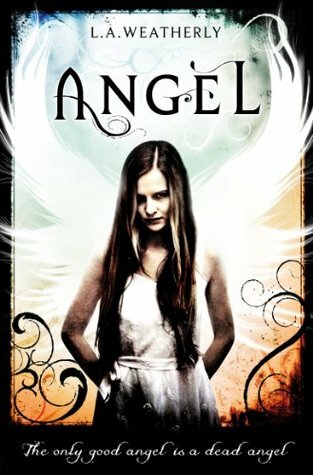 If I have missed any new book release(s) in the Urban Fantasy and Paranormal Romance (including YA within these genres) for this week, please leave a comment on this post so I can add it. Thanks! This information is maintained in my Google Calendar. My New Book Release calendar will be the most up-to-date on new releases. Any new releases missed for week will not show up on this page but will be visible in my calendar below. 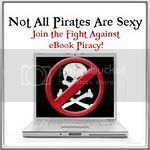 If you would like to link to my Google Calendar "New & Upcoming Book Releases", instructions on how to do this are listed here. What an amazing week for releases Donna! Thank you for all your hard work. Patricia Briggs, Carolyn's Book, Lara Adrian, Rachel Vincent, Kerrelyn Sparks, Christine Feehan, the list goes on and on!